This looks like a lovely spring salad! this looks so delicious, healthy and hearty! thank you for yet another wonderful recipe and gorgeous photograph! Looks delicious and healthy. Recently bought a package of farro from an Italian gourmet grocer and have been looking for something seasonal to do with it! Mmm, the weather's above freezing here in Toronto, so I call it Spring!!! And the sun, perfection! 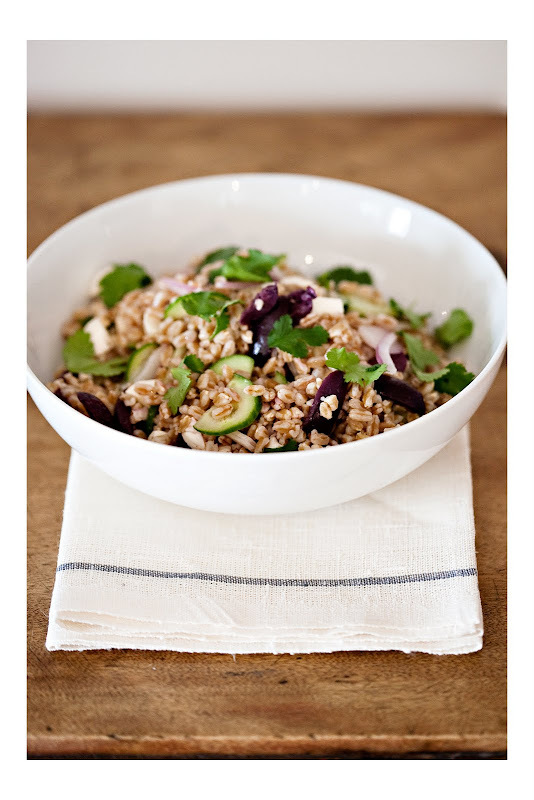 Thanks for this gorgeous salad - I've yet to experiment with Farro and this gives me a good reason to!